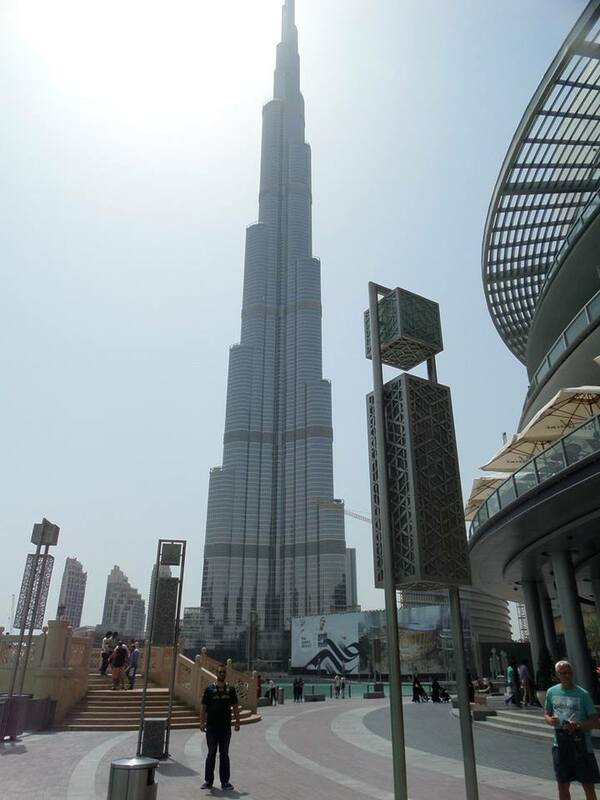 The Burj Khalifa is the biggest skyscraper in the world. 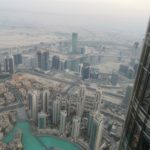 Uncensoredtravel visited Dubai in the summer of 2014 and will give you an insight in how we experienced this beast of a building. 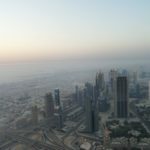 If you are in Dubai, you can not miss it and you should definitely visit the top and the area the Burj Khalifa is situated! View from the entrance towards the Burj Khalifa. Be sure to purchase your ticket online before your trip. This will save you the disappointment of not being able to go up during your stay. Book in advance! I booked through GetYourGuide. With the ticket you can visit the level 124 and 125. A standard ticket is about € 33,-. You can also upgrade your ticket to a fast track one for the people who are in a rush ;-). Check beforehand when the sunset or sunrise is during the day of your visit. This for making the best shots :). 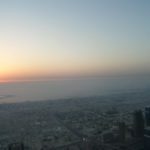 I myself went during the sunset, a beautiful sight over the whole city! 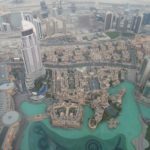 The biggest mall of the world is connected to the Burj Khalifa. 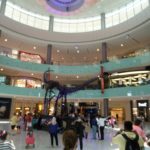 If you have some time beforehand or afterwards go and explore this ridiculous mall. The big aquarium is definitely an eyecatcher. When I visited they also had a big dinosaurus skeleton on display. Crazy! Yes, an aquarium in a mall. 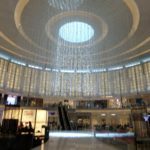 Fancy inside of the Dubai Mall. In the Dubai Mall you will find the entrance to the elevator which takes you up to the 125st floor of the Burj Khalifa. Be sure to go on time! Once you scan your (e-)ticket you can get an audio guide (if you really want to know about the construction of the Burj Khalifa it is a good add on, for me it was a waste of money). 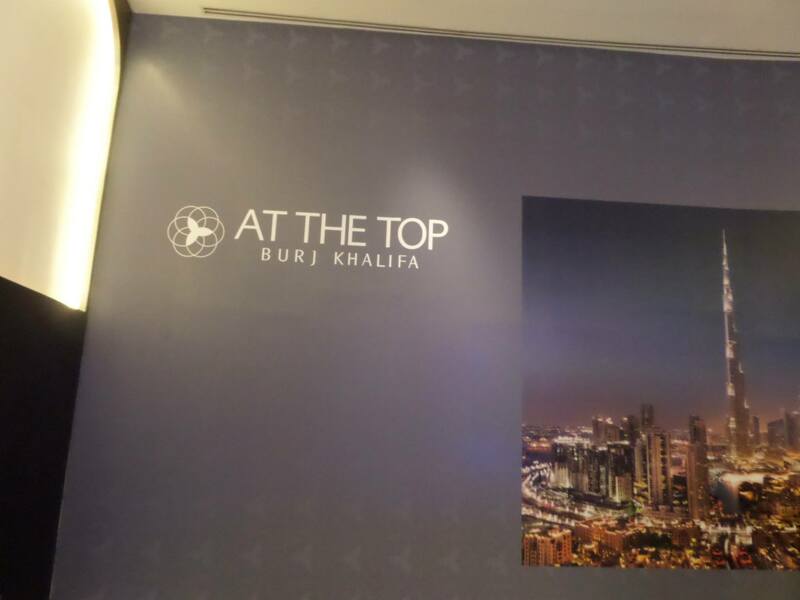 After you enter there is a little museum dedicated to the building of the Burj Khalifa. From here you enter the elevator, where the lightspeed fun begins. In a bit over one minute you will reach the 125th floor, taking there by storm in a futuristic elevator. This is really awesome!!! After that you have some time to spend on the panorama deck. Here you can see the whole city from 800 meters height. 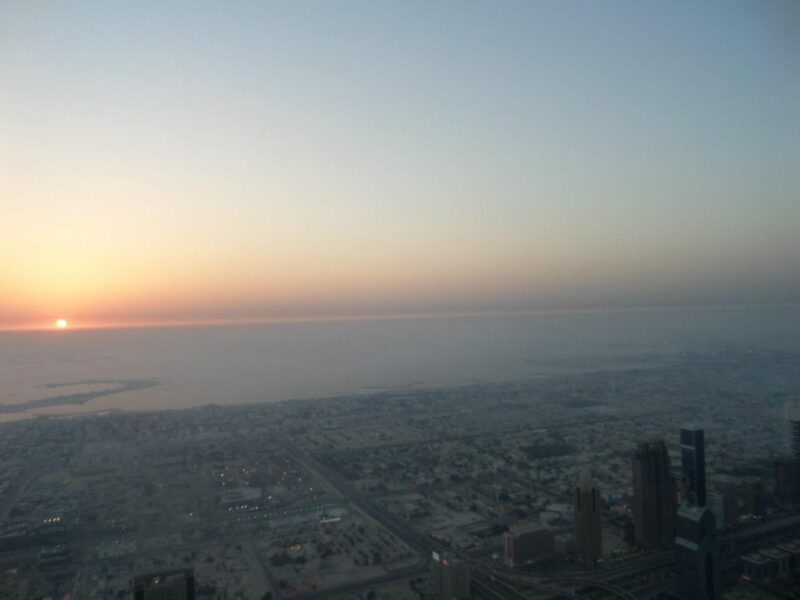 Especially during the sunset you will be wow-ed by the skyscrapers in the city with the desert in the back. View from the 125th level. 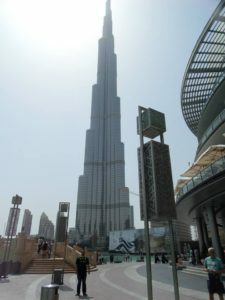 The Burj Khalifa is worth a visit in my opinion. Be sure to buy your ticket forehand and check which time to go up. On the panorama deck you will get a great view of the entire city and the surrounding desert. The fountain show next to the Burj Khalifa has different times throughout the day, check the current timetable here. The mall itself is impressive as well. 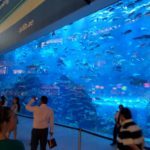 Be astonished by the big aquarium and the luxurious shops all over the place. Just outside of the mall you can find some souks for some shopping. Be sure to get your negotiation skills sharp! I did not really like Dubai in a whole, the skyscrapers who come out of the ground like trees give it a fake feeling. 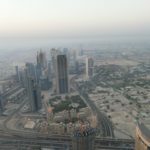 But, the Burj Khalifa and its surroundings is impressive. Very informative. I have a friend in Dubai at the moment, I’ll be sure to share it with her. I have heard of the Burj Khalifa for long. It sure looks impressive. You have given a very useful and informative post about the place. Thank you 🙂 The Burj Khalifa is indeed impressive and worth a visit! Great write-up with tips how to do! I like that. I believe that being up there is impressive and the view must be stunning. At least your pics give an image of it.